Please join us in congratulating our Coleman team, recipients of the 2013 Red Dot Award for product design. The Red Dot is the world’s largest, most prestigious professional design award. LPK’s win is for the extraordinary product design that created the Coleman Adjustable Comfort Sleeping Bag. This initiative represents some of the best work of LPK’s four-year collaboration with Coleman, which has helped position the brand as an innovator in its category with truly new-to-the-market experiences fueled by consumer insight. 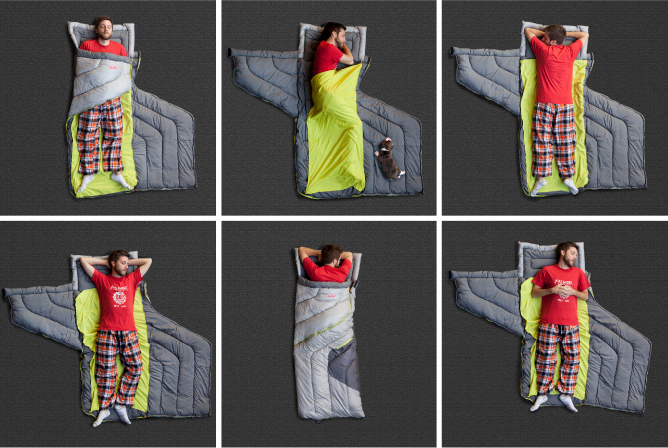 Melanie Fairchild, David Frank, Jason Phillips, Dave Heyne, Aldo Barreto, Jim Wolfe and John Recker were part of the LPK design team on the Adjustable Comfort Sleeping Bag, along with Ares Marasligiller and Yash Dhuru who are now with our partner agency, Spicefire. The Red Dot Award is bestowed to designs based on criteria that include the degree of innovation, functionality, ergonomics and self-explanatory qualities, among others. We’re honored to be Red Dot Award winners.